Politicians and members of the public are lining up to pay their final respects to former Israeli Prime Minister and President Shimon Peres. Flags are at half-mast as thousands are expected to file past the casket as it lies in state at the Knesset. Among them Prime Minister Benjamin Netanyahu who said Peres’ name will forever be etched in the memory of the nation as one of Israel’s greatest leaders. Today is the first day that the State of Israel has existed without Shimon Peres. The last of country’s founding fathers and Nobel prize winner, Peres died on Wednesday at the age of 93 after suffering a stroke on September 13. Dozens of world leaders and public figures are expected in the capital on Friday, where he will officially be laid to rest. His body will be transferred to Mount Herzl cemetery in the morning. 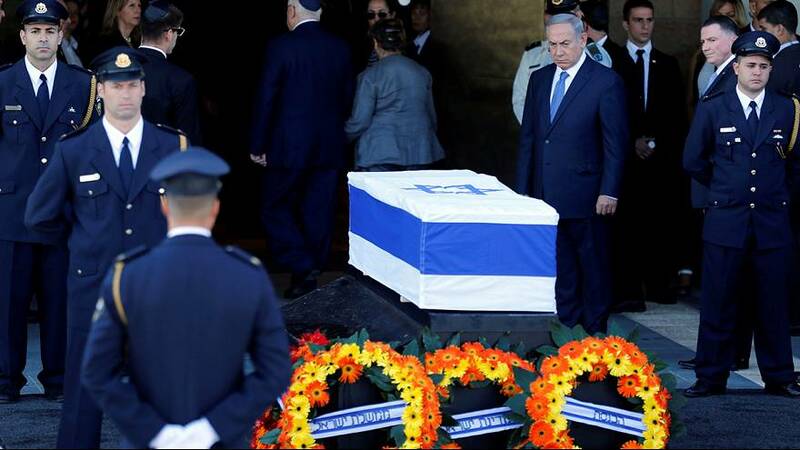 After eulogies are made, a procession will head to the Great Leaders of the Nation section where he will be buried between former prime ministers Yitzhak Shamir and Yitzhak Rabin. President Obama will lead the US delegation, which includes Secretary of State John Kerry. Tomorrow, POTUS will lead the U.S. delegation to Jerusalem to pay his respects at the funeral of former Israeli President Shimon Peres. French President Francois Hollande and former president Nicolas Sarkozy will also be in attendance. From Britain Prime Minister Theresa May, Foreign Minister Boris Johnson, as well as former British prime minister David Cameron and Prince Charles are expected to attend. Big screens outside the cemetery will broadcast the funeral proceedings to the general public.